Why Should You Trust Lottoland? We know players want to ensure their hard earned cash is going to be safe, and that they're getting the best deal. That's why Lottoland strives to ensure players enjoy the best lottery experience. To find out why Lottoland has attracted more than 7 million customers from around the world, read on! One of our customer's biggest questions is how we can guarantee that any money they win through us will be paid out. 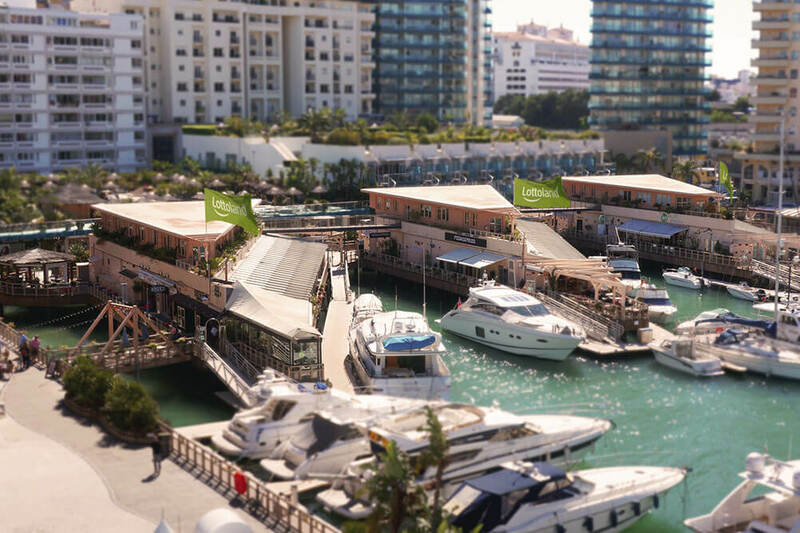 Firstly, we are fully licensed and regulated by the UK Gambling Commission, as well as the Gibraltar Betting and Gaming Association (GBGA). The GBGA ensure that anyone who wins through Lottoland will be paid out in full. They're the same regulating body that oversee the UK's biggest gambling companies, and therefore we are held to the same standards. Lottoland also operate under a gaming license granted by the UK Gambling Commission. In order to be granted such a license the company must be able to prove its financial strength and must also pass rigorous inspections on a regular basis. The second reason, and the one that guarantees even our biggest jackpots are paid out, is because we are backed up by a number of leading insurers. It doesn't matter whether it's £5 million or £500 million, your jackpot prize will be covered. Since December 2015 we have made five people millionaires, and these winners join the ranks of our other lucky players who have won big through Lottoland. At Lottoland we currently offer a fantastic range of different international lotto draws, including PowerBall, Mega Millions, Polish Lotto and Irish Lotto. Alongside these there are exclusive jackpots like Cash4Life and KeNow that you will only find through us. Thanks to our betting model, you can bet on the outcomes of these draws regardless of their geographical location. Basically, since Lottoland allow you to place bets on interenational lotteries, it doesn't matter that you don't live in the country where the lottery draw takes place. All smaller pay-outs are covered by funds raised froms sales of betting lines. Our insurance companies pay out the larger jackpot wins, meaning that even if you win a billion with Lottoland you will be paid. The unrivalled level of choice and freedom of play are just two of the reasons people are choosing us as their destination for lottery betting. Is My Personal Data Safe With Lottoland? Long answer; we are legally required to take all the necessary steps to ensure any personal information that is shared with us remains secure. Our security ensures your details are stored in accordance with data protection legislation. Everything we do is monitored and checked by official 3rd parties who ensure we are always providing the best possible services to our customers. Why Do I Have To Send In My ID To Lottoland? Many of our customers ask why they need to provide us with identification, and it's a valid question. After all, giving out personal information online is not something any of us like doing. There are however very good reasons for this. 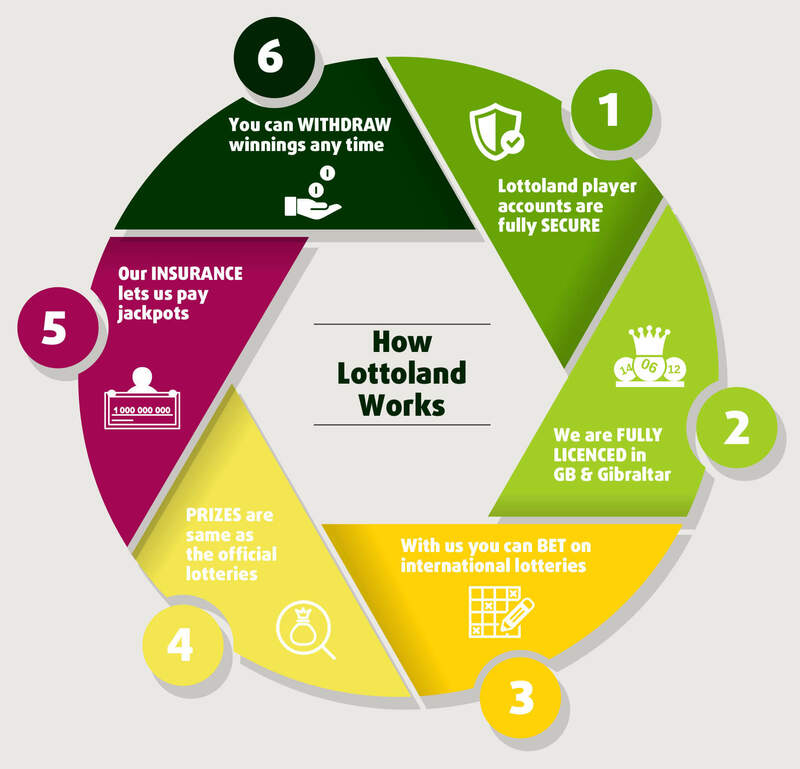 Lottoland is required by law to verify your identity, it's part of the terms of our gaming license, and it also protects our customers. Without proper ID we would not be able to validate and pay out any winnings you make because they could be claimed by someone impersonating you. ⇒ Asking for ID also safeguards vulnerable underage players, and prevents minors from betting. Lastly, because we are fully licensed and regulated your details will be safe with us, they won't be sold off to some shady 3rd party or pasted across the Internet. We owe the success of Lottoland to our customers, which is why we are not about to stand still and have big plans for the future. Thanks to the largely positive opinions and reviews about Lottoland, we know that players trust us and the products we offer are valuable. We are also happy to accept any constructive criticism because it motivates us to offer an even better service. We would like to thank all our users for every opinion about Lottoland. Your comments are extremely valuable to us, because thanks to them we can learn what to improve so that our users will be even more satisfied. Many of you have already given us positive feedback on the internet for which we thank you very much. If you want to share your opinion about Lottoland you can do it on the TRUSTPLAY website . Special Jackpots and Rollover Reloads are just two of the Lottoland exclusives that set us apart from our competitors. These great jackpot boosts give our players the chance to win bigger prizes through Lottoland than they would through the main draws. We also offer a DoubleJackpot on the majority of our draws. With this incredible option you can double your potential winnings any time you want. It doesn't matter if the jackpot is a few million or a billion! 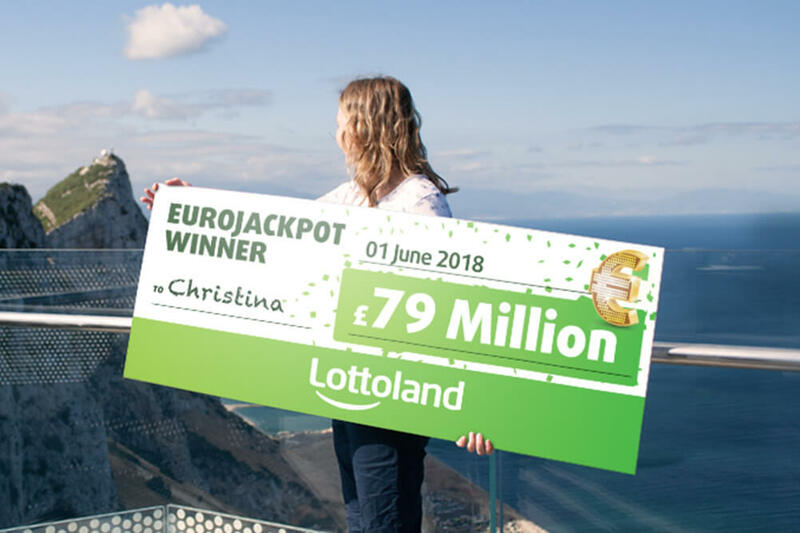 To date Lottoland has paid out hundreds of millions of pounds in prizes, including the incredible £79 million which is our current record-holding win from Christina. It doesn't matter whether you're on desktop, tablet or mobile, Lottoland's website and app allow you to bet on your favourite lotteries wherever you are. We also offer players the ability to bulk buy betslips up to a year in advance, meaning there is no risk of missing a single draw. 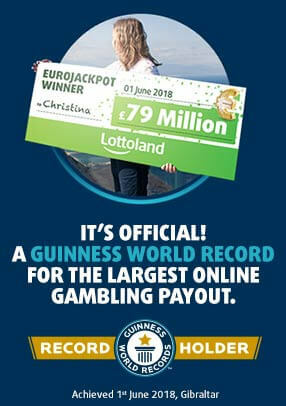 When it comes to wins, Lottoland pays out faster than anyone else around. Jackpot winners in most draws have to wait several months between confirming their win and starting their millionaire lifestyles. For those who win with Lottoland, they're jetting off to their new life in half the time. Lottoland is an industry leader, in 2015 we were presented with the 'Rising Star' and 'Alternative Operator' awards at the EGR Operator Awards ceremony. The EGR awards is the most prestigious award in the gaming industry and includes over 700 of the world's biggest online gaming firms. In 2016 we were awarded Best Lottery App at the Gaming App Awards and Innovative Start-up at the 2016 EGR Operator Marketing and Innovation Awards. In February 2017 we were awarded the prize Lottery Operator of the Year at the renowned IGA Awards. Lottoland also managed to scoop the prestigious 'Lottery Operator of the Year’ award at the EGR Operator Awards in 2017. 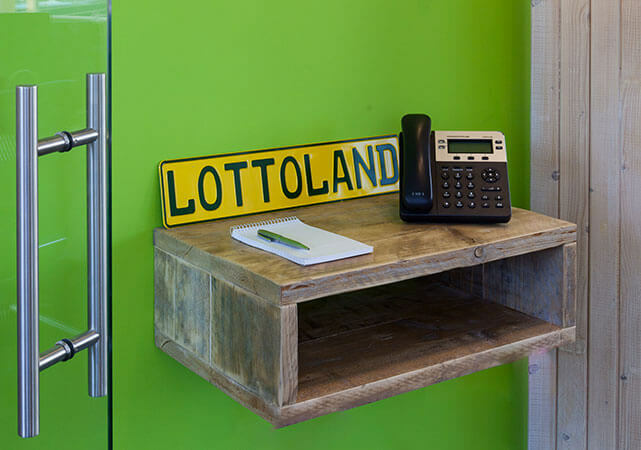 For further information on Lottoland take a look at our 'About Us' section, or contact one of our customer service team. And don't forget that if you'd like to make a comment below this article we will be more than happy to respond to you there.